Tiger Beer: Have you been good this year? 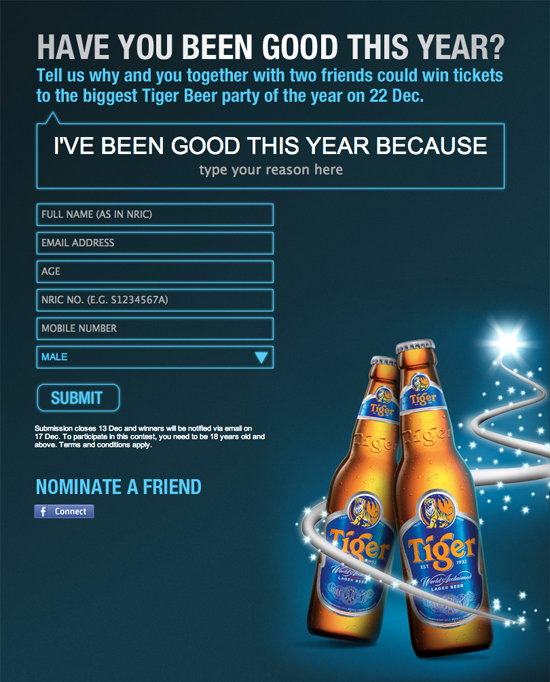 Win invites for you and two friends to Tiger Beer party on 22 December 2012. 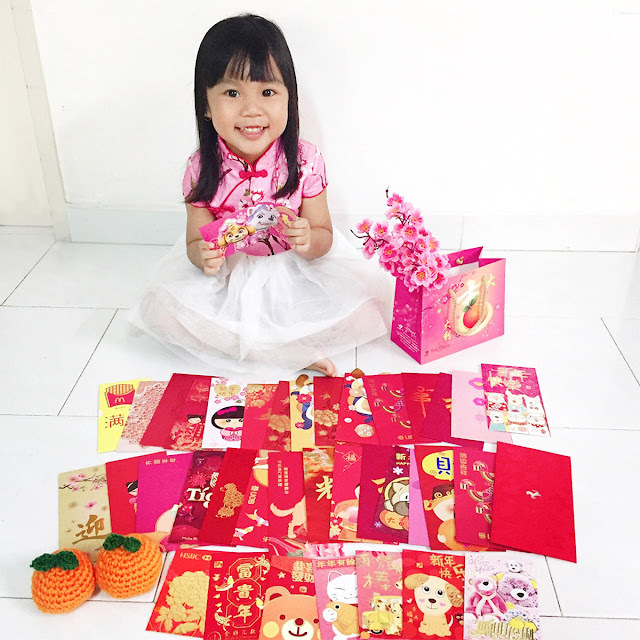 All you need to do is to fill in the contest form on Facebook with your particulars and also complete this sentence: "I've been good this year because ... "
Submission closes 13 December and winners will be notified by email on 17 December 2012.